This has been a wonderful occasion, and a fitting event coming from a university to which Kader felt such a deep attachment. When he first arrived here, it was a place of extraordinary political ferment, fierce debates, and involvement in planning the future of our country.The Truth and Reconciliation Commission and the Constitutional Court were both the subject of such debates, and fervently promoted by members of the Community Law School here, of whom Kader was one. To my horror, I read on the internet this morning that our President wants the powers of the Constitutional Court to be reviewed. According to the report, he lexington code review seems to think that the fact that some judgments are made by majority vote only proves that these judgments are not necessarily correct. But this is the same process as is followed in debates in Parliament, and if the majority vote there were not deemed to be decisive, chaos would ensue in government. The President went on to say that judges are influenced by the media, which looks like a regrettable attack on their integrity. I do not really understand why our Government, with such a substantial majority in Parliament, and such substantial support in nearly every part of the country, is quite so sensitive to criticism – though I must say that this sensitivity is pretty well standard for governments all over the world. I believe rather that South Africa is fortunate to have such a vigorous press, and such a strong civil society. 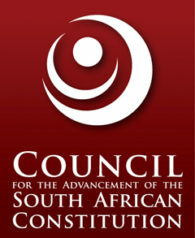 “We affirm our commitment to advance the ideals of our country’s Constitution at all times”. This was not given the publicity it deserved in our press. Finally, I must congratulate UWC on establishing this Moot Court. I am sure that it will promote many vital debates; and the Asmal family are proud and honoured that it is being named after Kader.